Jenny & The Scallywags are launching their very first EP! Featuring songs that won them the 'Project Aloft Star Amplified by MTV' competition last December and also including the single 'Sounds Like Maybe' which will be airing on MTV Asia very soon, this event is all about a huge thank you to everyone who has showed so much support to the band over the years. 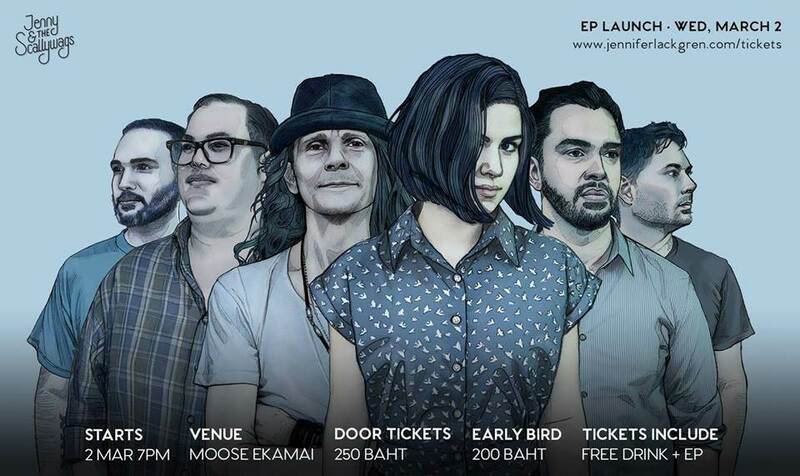 Jenny & The Scallywags will be joined by some fantastic bands at the classic live music venue that is Moose Ekamai on March 2nd for what is sure to be an amazing night. Every ticket includes 1 free drink & a copy of the EP.